Update: Traffic easing on the A55 eastbound near The Posthouse Roundabout following earlier accident. 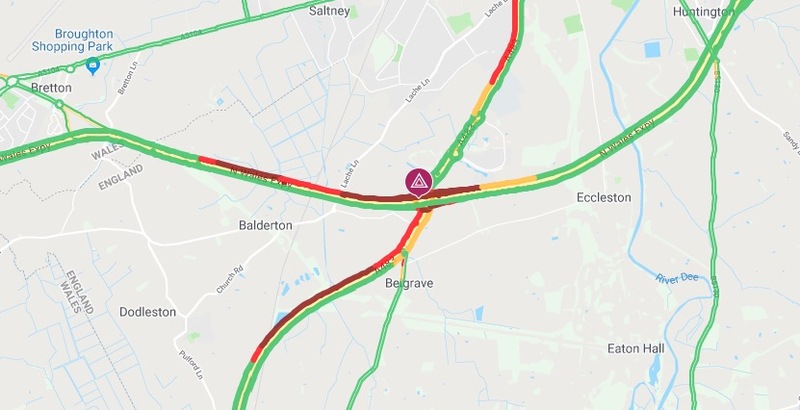 Previous report: The A55 is partially blocked on the eastbound carriageway just after junction 38 A483 Wrexham Road and Posthouse Roundabout. Accident has occurred just after the entry slip road from the A483 Wrexham Road. There’s around two miles of queues heading back towards Broughton with delays quoted 8 minutes.